Have you heard about this little kick about taking place between 32 nations across the pond in Brazil? No? It’s called the 2014 World Cup and it’s going to be the “most social event in history” making brands a great deal of money. But being marketers we ask questions like how much, spent where and on what? To try and answer some of those questions and put the World Cup marketing into context I have collated 25 facts, figures and stats associated with the 2014 World Cup in Brazil. These have been loosely categorised into four main areas. Want to share any of the facts or figures below? Simply highlight the text to be given that option. 400 million people are expected to see the contest’s final match on July 13th. Each of the 64 games will garner viewership roughly equivalent to the Super Bowl. Searches related to the World Cup tournament in the past four years have outnumbered those for the Olympics, the Super Bowl, and the Tour de France combined. 86% of UK millennial internet users planned to follow the World Cup frequently—either regularly or all the time—via the TV set. Facebook estimates 500-million of its 1.28-billion users are soccer fans, including 110-million men aged 13-34 in big markets — a demographic coveted by advertisers. 37% of soccer fans worldwide said they interacted with a mobile ad daily in order to get more information about a product or service. 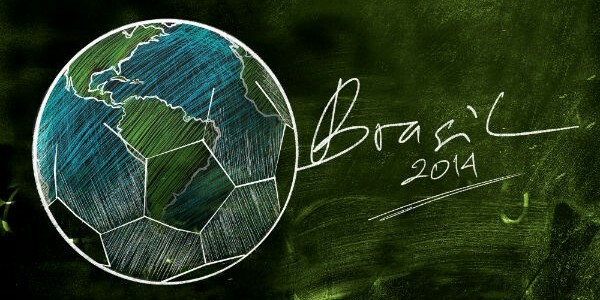 In 2010, about 18% of football-related searches during the World Cup final were done on a mobile device, according the. Compare that with 2014, when nearly two thirds (63 per cent) of those searches during a popular UEFA Champions League match were done on mobile. World Cup ads have thus far attracted 6.9m shares across social media, 31.4 per cent more than the 4.7m notched up by the Super Bowl. When Cristiano Ronaldo, part of Nike’s World Cup push, tweeted Nike’s second World Cup ad, released on its YouTube page, it caused a surge in views that topped 70m in days. There have been more tweets about the 2014 World Cup, before a ball has been kicked, than for the entire tournament in 2010. For the 2010 World Cup just 20% of marketing spend was digital. Marketing spends for the 2014 event are being reported as hitting an estimated $1.3 billion, with an increased share going to digital. 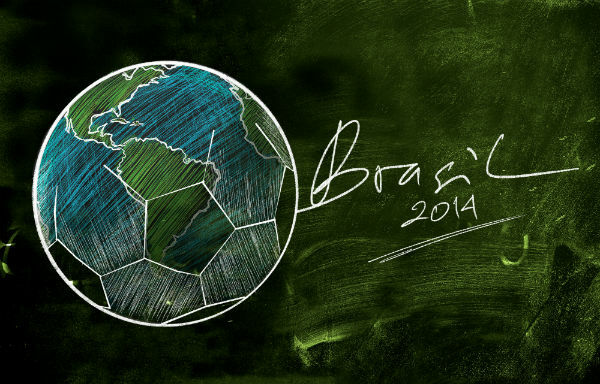 There could be as much as $2.3bn spent on World Cup TV advertising globally. World Cup sponsors spent £20.8m on TV advertising in the UK – which pretty much means ITV, as the holder of the commercial TV rights. By 2018, when the quadrennial tournament is scheduled to take place in Russia, advertisers will spend 17 percent more on Web ads than on TV, the researcher predicts. Corporations will spend about $68.5 billion on TV this year and $56 billion online. Digital ad spending in Brazil will jump 28.0% this year and reach nearly $5 billion on digital media by 2018. Visitors to the World Cup event will spend over $11bn (£6.6bn) in the country. Fifa predicts that it will collect around $4bn from Brazil 2014. Pannni, makers of football stickers, predicts they will make £127.3m from South American sales alone. Domino’s are estimated to make a tasty £84m from pizza sales in the UK during the World Cup. Sportswear manufacturers expect are expecting revenues of between $12.6bn and $14.5bn. William Hill has already forecast revenues of more than £200m from this year’s World Cup in Brazil. ITV is on track to make £70m more in TV advertising between April and July this year than last year, and could charge as much as £300,000 for coveted slots in England games.